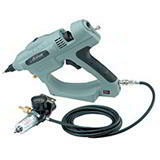 This superior fast setting carton adhesive sets in around half the time of standard hot melt glue, so you can increase productivity and output. 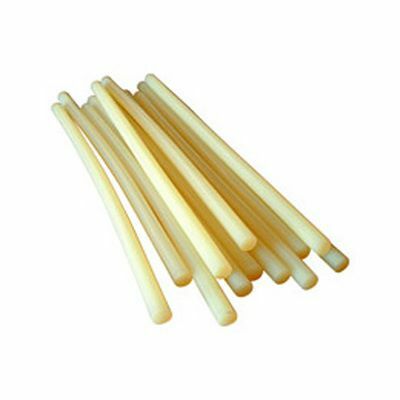 These hot melt glue sticks come in 12mm and 18mm widths, and 43mm adhesive slugs are also available. 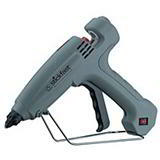 All fast setting glue is suitable for use with standard hot glue guns. These hot melt adhesive sticks are precision extruded to give a uniform width for uninterrupted carton gluing. Hotmelt adhesive is ideal for sealing cartons, general packaging use, product assembly, and securing fabrics, upholstery etc. For a perfect seal every time, without the untidiness and tape or staples, why not try our fast setting hot melt carton adhesive today? Great value cardboard boxes - over 300 sizes in stock!